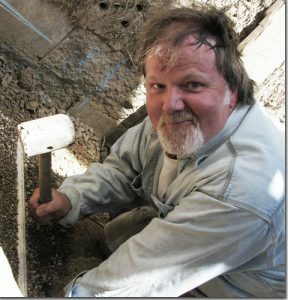 In addition to being a Permaculture Designer/educator and Natural Building and Aquaponics enthusiast, John EriK is a seasoned web and computer professional, online marketing strategist, writer and certified bodywork therapist. 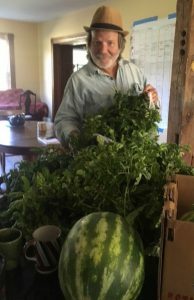 He co-founded the Mount Shasta Time Bank and created and organized the “Delaware County Permaculture and Food Security” Meetup.com group for those passionate about local homesteading, sustainable food systems, small-scale farming and networking. He’s participated in several Permaculture Convergences, work parties and advanced skills training and learned from luminaries in the Permaculture/Sustainability movement. John EriK (InternetEarthworks.com) offers Optical Surveying and “Somatic Approach to Reading the Landscape” classes. A natural teacher, he blends metaphor and process details together in his presentations. Former work as a tai chi/chi kung teacher, NLP coach and massage practitioner inform his style of teaching, as “getting it in the body” not just the brain, can be a deep way of learning. Past projects include ecological river bank restoration, rocket mass stove and cob building, portable solar energy charging station, permaculture herb spiral and key-hole gardens, experimenting with bionutrient.org soil enhancement, round pole timber framing and building with bamboo. John Erik surveyed and supervised excavation of two 350′ swales, small pond then cover-cropped and planted nut trees and berry bushes and built a gravity fed water transport system with water storage tank to “feed the swales” and provide irrigation. A personal mantra from mentor Geoff Lawton – how to move Potential energy and water through a landscape through the most circuitous path from low potential/high energy elevations to high potential/low energy bottom lands. This helps expand the “edge effect” – a place where subsystems mingle and create diversity and abundance.